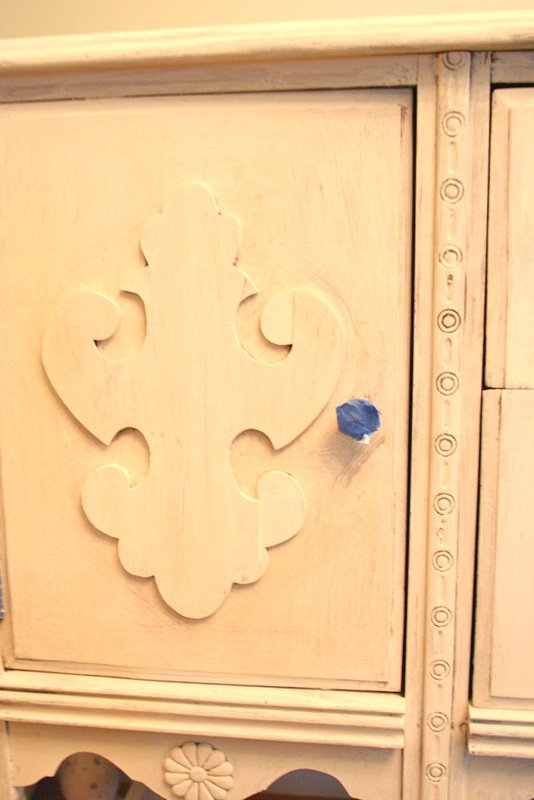 Have you heard of Annie Sloan Chalk paint? Well, it's this really amazing paint that is super easy to work with, and you get a lovely result! 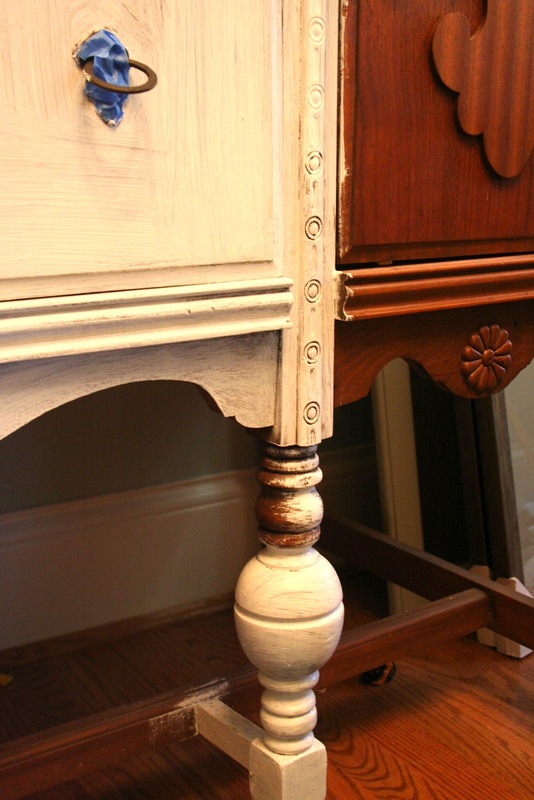 No sanding required before using this paint :). This was my first time using it, and I was really pleased with the result. The piece of furniture that I used it on, was this lovely buffet I found antiquing nearly a year ago. I knew that I wanted to paint it, and put it in our new home, but I wasn't sure about what color I wanted to go with. So finally, after deciding on all the finishes throughout the house, I decided I would paint the piece a combination of Pure White and Paris Grey. So here is the buffet in all it's glory prior to painting. 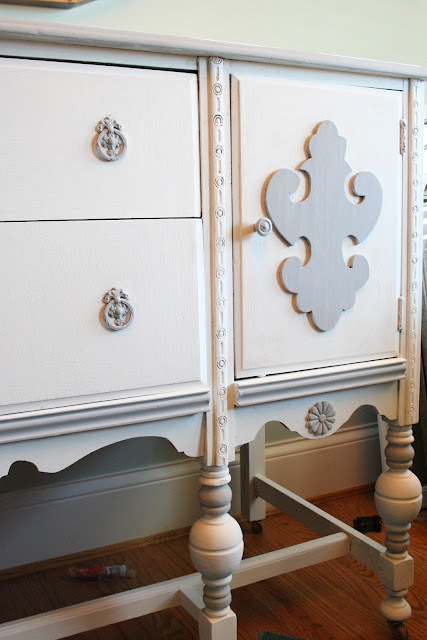 Great piece, with good bones! I really wanted to highlight all the little details in this pieces, so I started with a base coat of the Pure White. I applied thin coats. 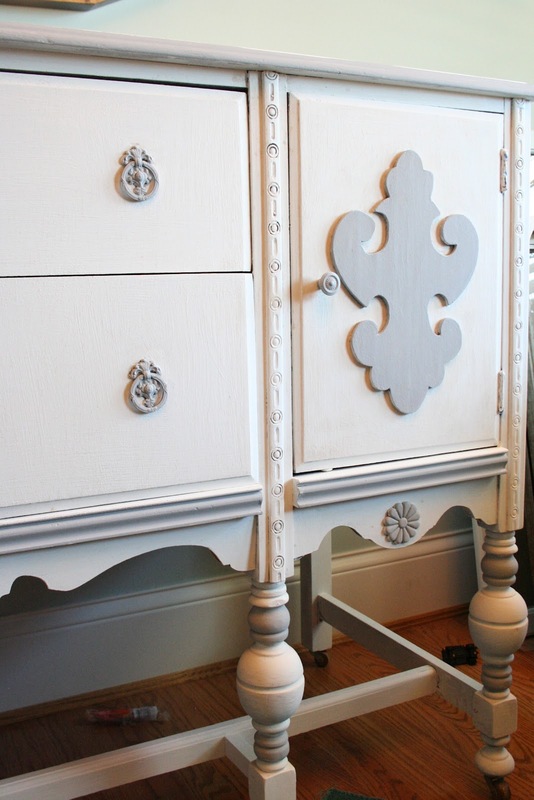 Then I decided to use the Paris Grey to accent where I thought was appropriate, after a couple coats of the Pure White. Voila' the finished product after I put the Annie Sloan clear wax coating on it! I staged it, for now, with some of the pretty hobnail milk glass that I have been collecting for some time, and a few other of my favorite pieces. 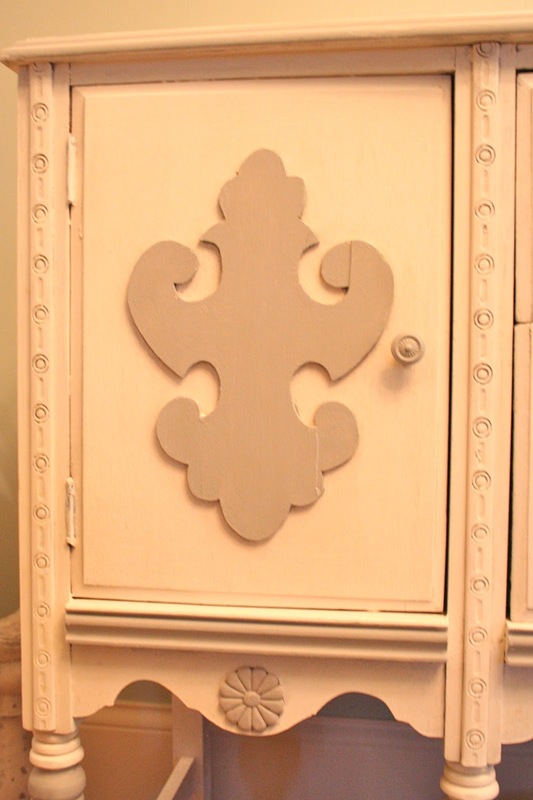 The pretty arrows came from a boutique called Dress and Dwell in New Albany, IN. 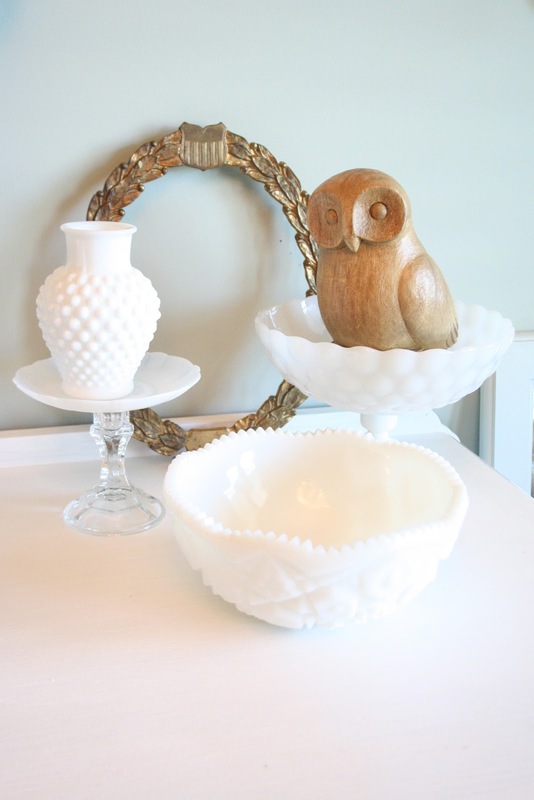 The owl came from Kohl's and the rest of the items are vintage finds. Or you can also look on the Annie Sloan website for ideas and where to purchase it. I think you will find this paint is really user friendly, and has lots of lovely color options! Best of luck on your next paint project! I can't wait to put this new piece in our new home. I have so many pieces like this from my parents' house that I considered giving to Goodwill. Now I am torn -- I should repurpose them but already have a house full of furniture. What to do, what to do...thanks for the pics and explanation. I love how this looks!